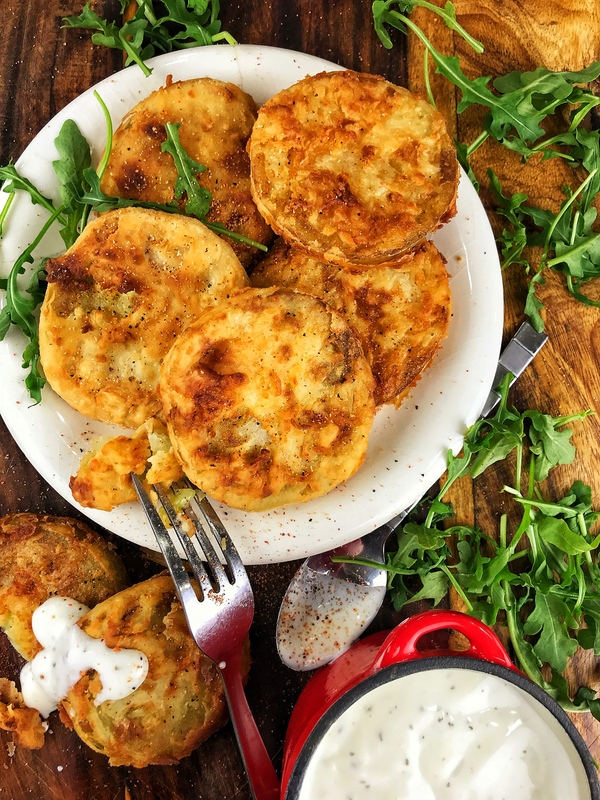 I mean, who doesn’t love a good, juicy, fried green tomato? I know, I’m simply in love with them. Now, listen. There’s a line we have to draw. There are those who love them fried with cornmeal and then there are those who love them fried with flour. I like either. But, there’s something about frying them in flour that makes them super crispy and keeps them juicy. So, this is a flour & cornstarch kinda recipe. Give it a try, you’ll like it. Plus, the vegan ranch for dipping is awesome! Preheat the oil in a skillet. Set up two bowls and a plate. In one bowl, add in the vegan half and half. In the other bowl, add in the cornstarch and flour. Dip each tomato slice in the half and half and then season liberally with the Cajun seasoning. Then, dip in the flour mixture. Repeat the process one more time for effective double dipping. Then, rest the coated tomato slice on a plate. Complete the process for all of the tomatoes and then when you’re ready, fry each tomato until golden brown. You can sprinkle a bit of salt on each tomato slice as it comes out of the oil. Enjoy with vegan ranch dressing. *For the vegan ranch, just whisk together 1/2 cup of vegan mayo, 1/4 cup of vegan half and half, with a pinch of salt, pepper, garlic powder, onion powder, a drizzle of apple cider vinegar, a pinch of sugar, and a pinch of dried chives or parsley.